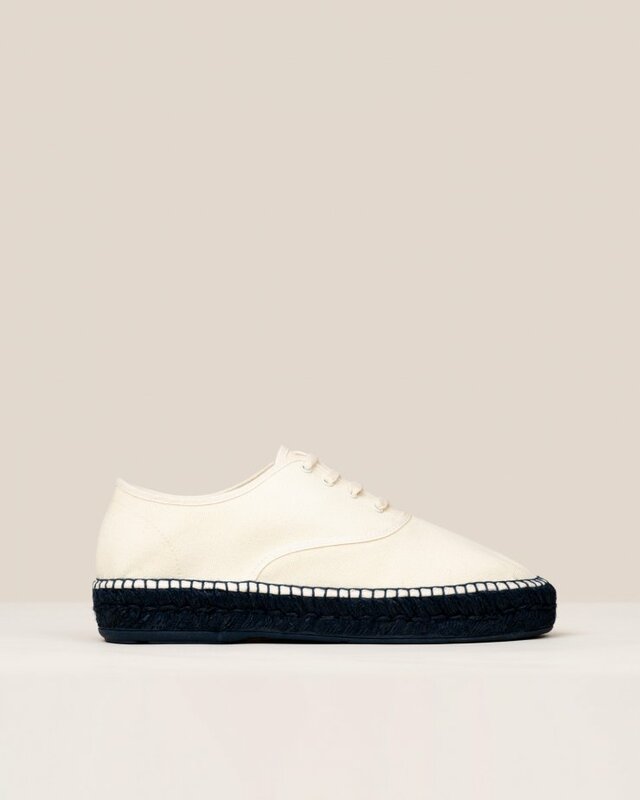 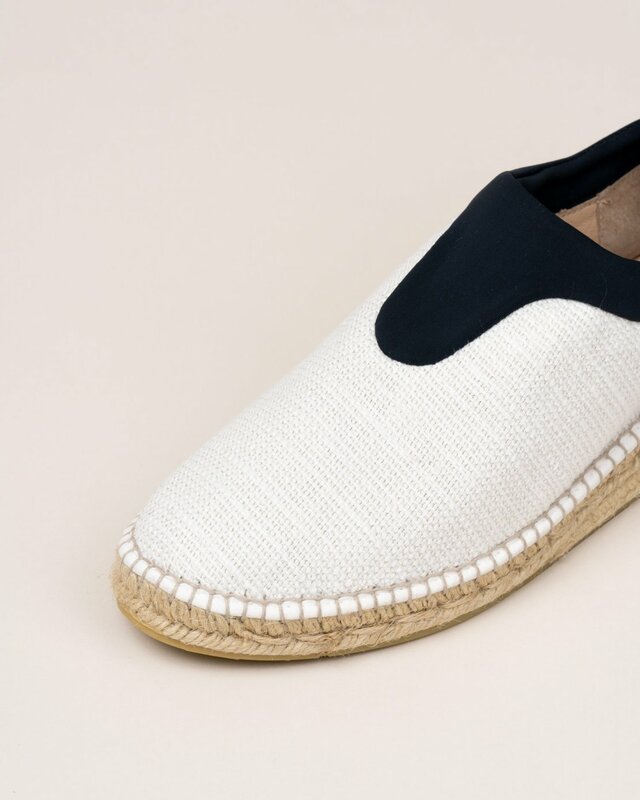 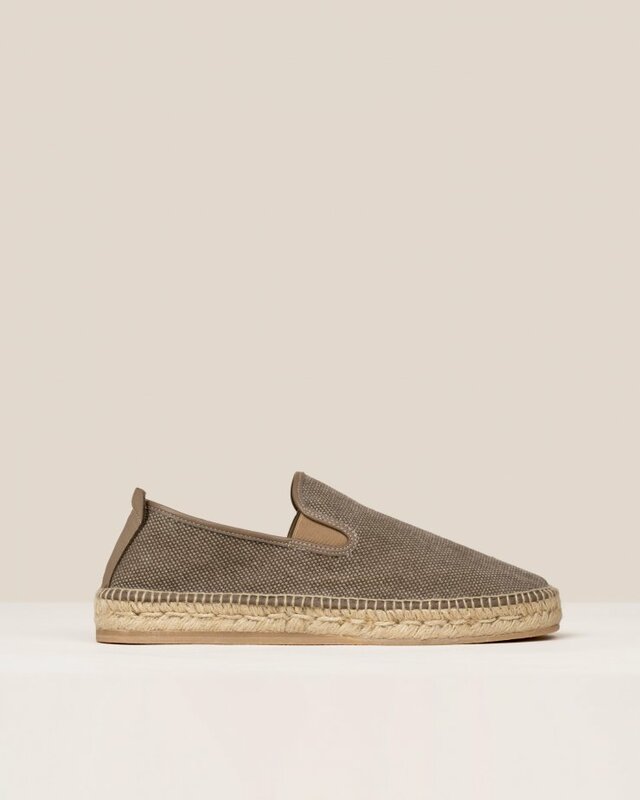 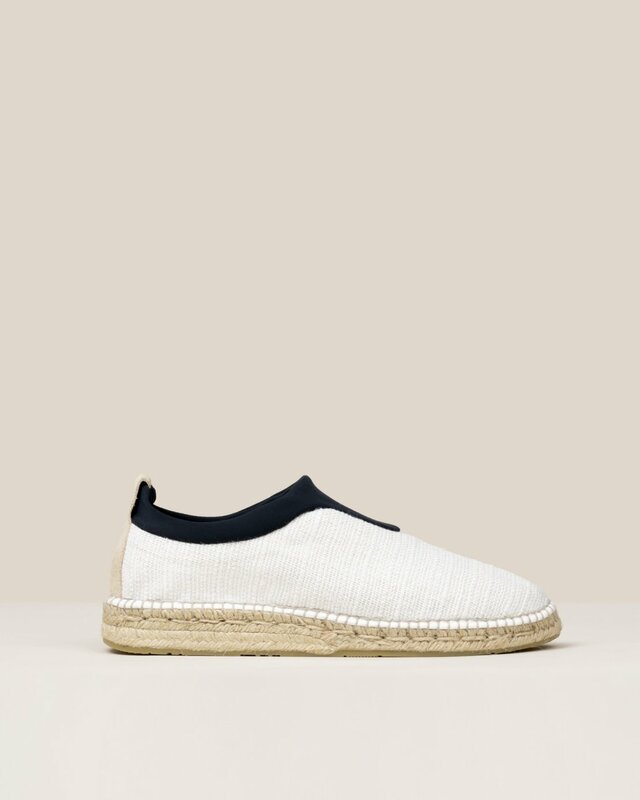 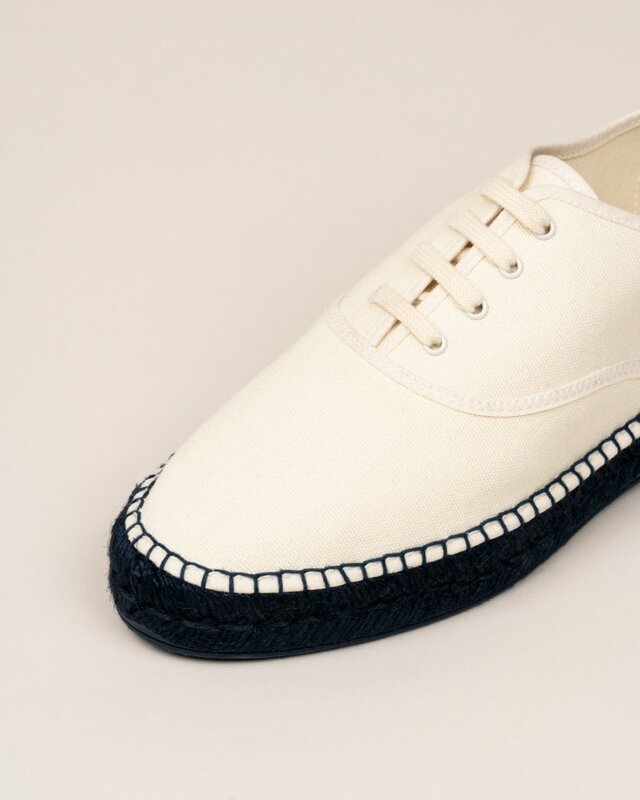 White linen espadrilles. 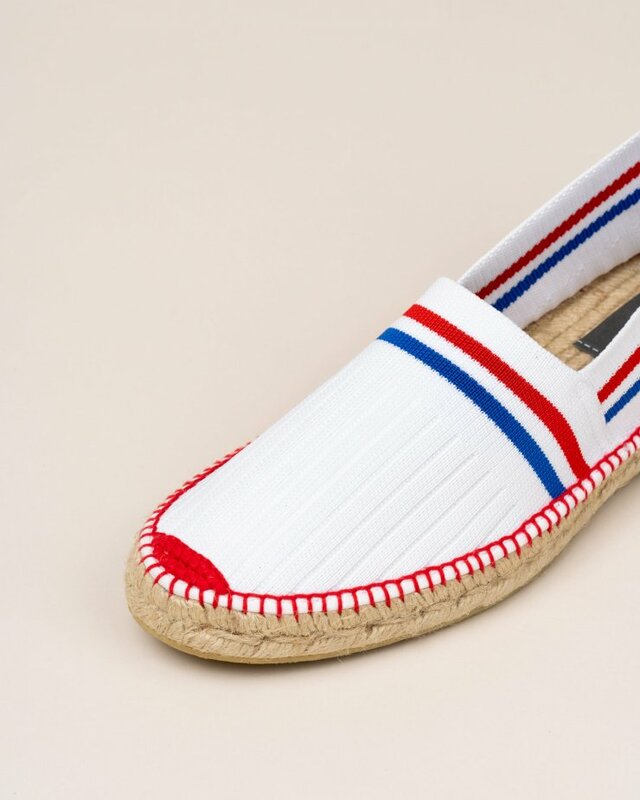 Closed style with navy elastic. 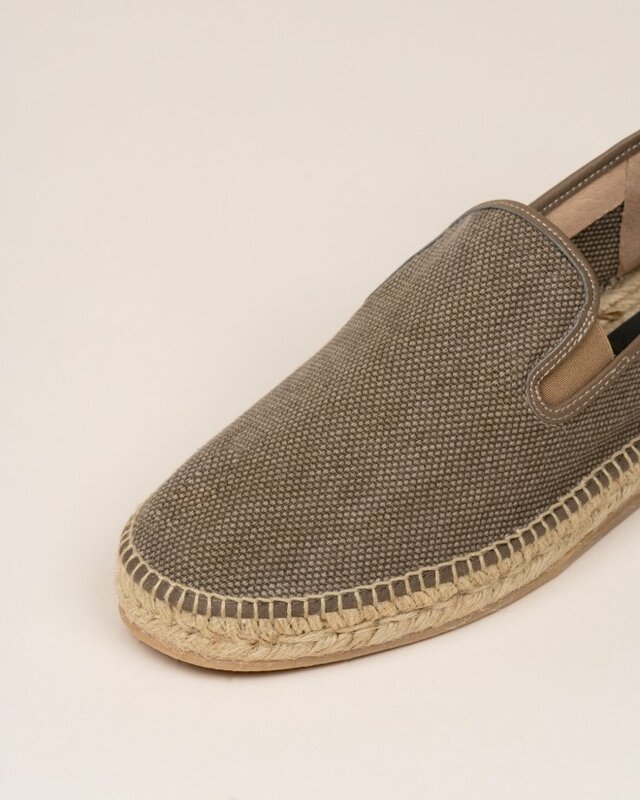 Flat jute sole.